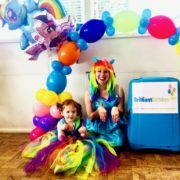 Let one of our super colourful Rainbow Pony kids party entertainers brush away all the clouds at your birthday bash, with some brilliantly vibrant childrens themed party entertainment! Your 1, 2, or 3 hour Rainbow Pony childrens themed party entertainment will see both boys and girls exclaiming “Rainbow Rocks!” while swooshing their colourful Pony scarf tails, trotting around the room with maracas, and selecting their favourite Pony Corner! 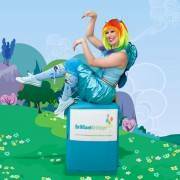 One of our Rainbow Pony kids party entertainers is ready to bring a splash of colourful activities for up to a maximum of 30 kids! 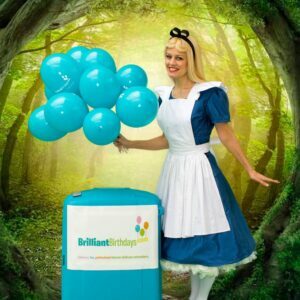 If our Childrens Entertainers London will be providing a range of activities depending on your party length within the M25, we are thrilled to say that no travel charge is necessary! 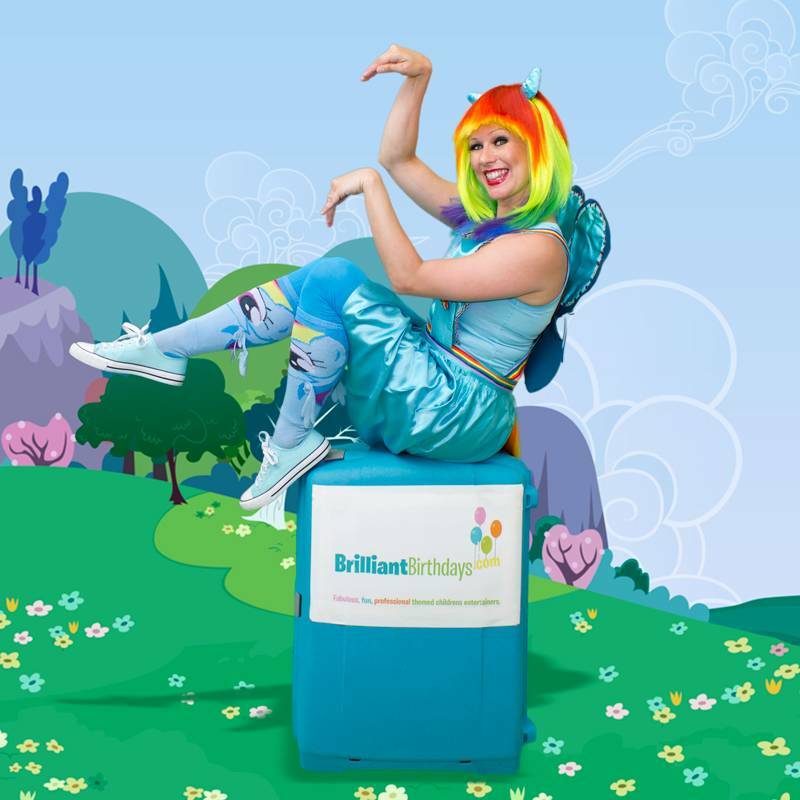 If one of our Rainbow Pony childrens themed party entertainers will be galloping your guests to a good time at a destination outside the M25, there will be a small travel charge of just 40p per mile, from and back to the M25! 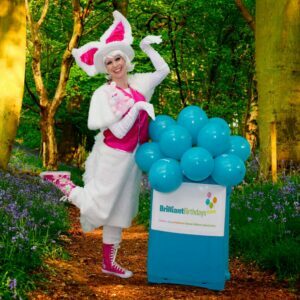 So let our Childrens Entertainers London leap in and help you jump over the finish line after a stress-free event! 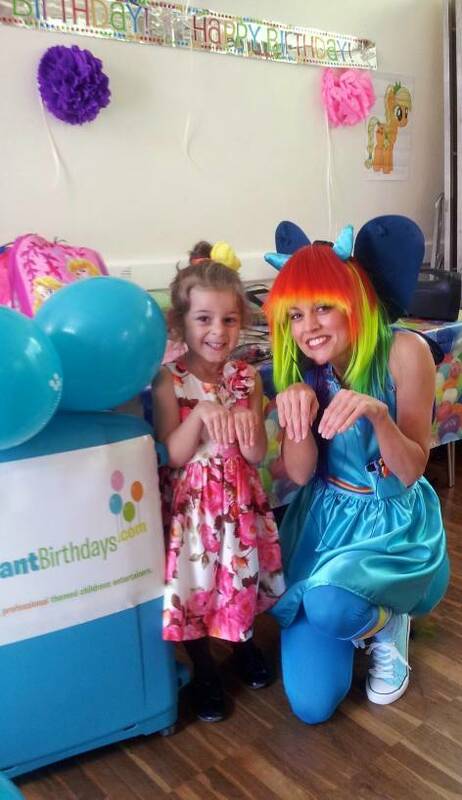 We guarantee our brilliant Rainbow Pony childrens themed party entertainment will bring out the sun on any occasion! 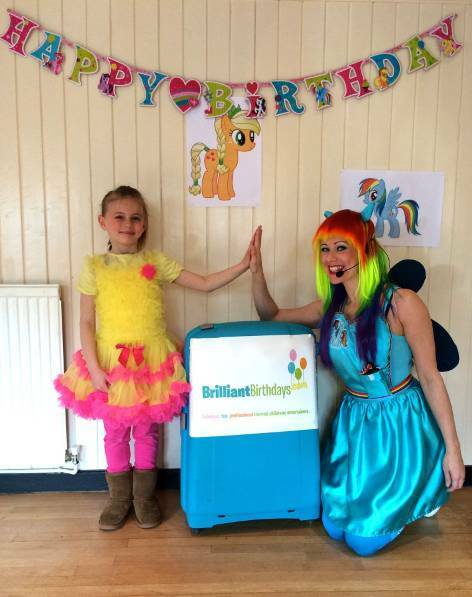 Jay from Royal Tunbridge Wells, I had rainbow dash birthday party for my daughter’s 6th birthday!!! 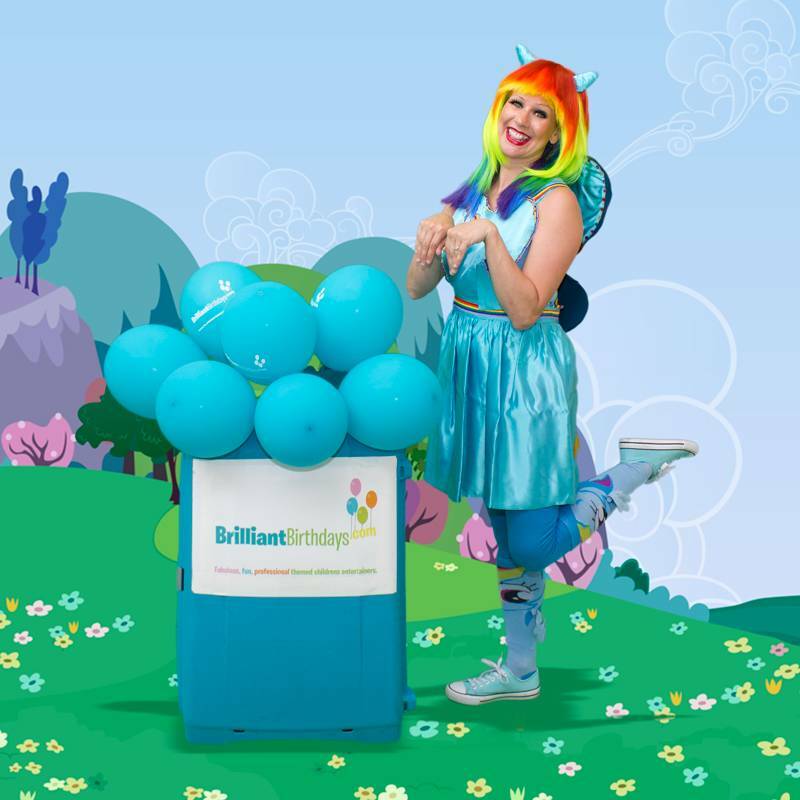 It was really really brilliant, all the kids were loved rainbow dash, she was really entertaining, We all very happy to recomend the My Little Pony party with – Rain bow dash . We had Sarah-Jane as rainbow dash for our daughter’s 5 birthday party and she was amazing! All the childern loved her and were captivated by her charm… they had such a great time! The 2-hour party was perfect because Sarah-Jane was there for the entire duration of the party and kept entertained the children even while they were having tea. Highly recommended! It was, as the name says, brilliant! Jasmine was our Rainbow pony and she was wonderful. She kept children entertained throughout the party with various activities including games. My daughter and all her friends were very happy, it has been about 3 weeks since we had the party and her friends still talk to her about it. Their parents have been asking for contact information for Brilliant Birthdays, this is how good the experience was. Absolutely fantastic service and Rainbow Pony was outstanding for my daughter’s 3rd birthday. All our guests were wanting to hire you in the future. Will definitely be booking again. Many Thanks! 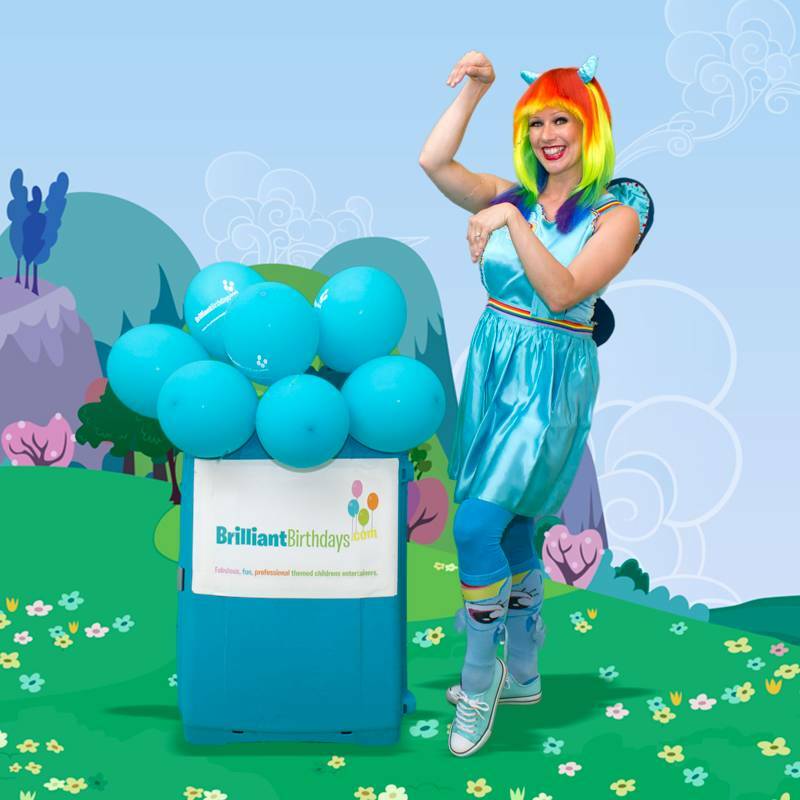 Amazing Rainbow Dash Entertainer! My daughter is crazy about this horse and after searching the web I was lucky enough to find Brilliant Birthdays! I would highly recommend this company! Great Service and a very Talented entertainer! Thank You. 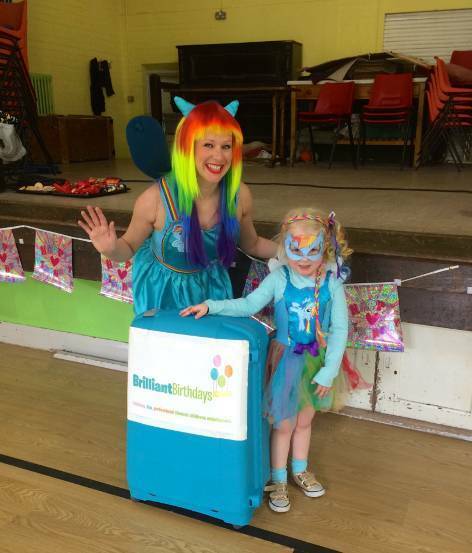 Our Rainbow Dash Entertainer last weekend was WONDERFUL! I definately recommend Brilliant Birthdays and Thank You to Rainbow Dash for an awesome party! 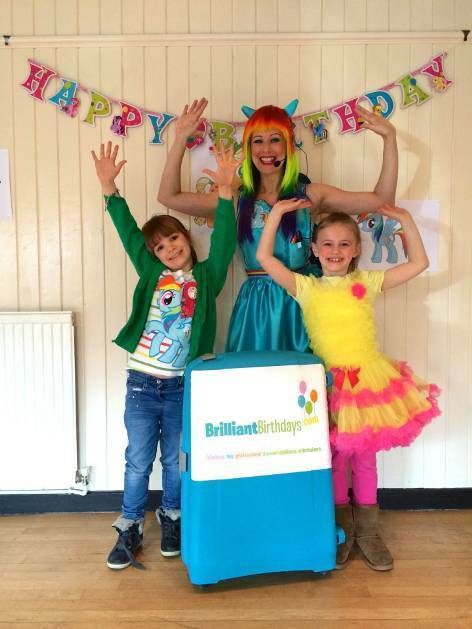 We had Sarah Jane as Rainbow Dash for our daughter’s 5th birthday party. She was fantastic – she kept 20 children entertained for the entire 2 hours and they had such a lovely time. I would highly recommend Brilliant Birthdays and Sarah Jane. My daughter was desperate for a Rainbow Dash Party Thank Goodness I found Brilliant Birthdays they are amazing! Just read the google reviews! Great job Thank You! 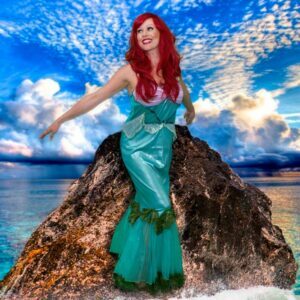 Wonderful company with professional, punctual entertainers I would recommend this company if you are looking for a high standard of entertainer. Amazing party with Rainbow Pony! What a lovely surprise for my daughter! Brilliant Birthdays made sure the party was really special, all the kids loved the entertainment! Thank you for taking a huge amount of pressure off us! The parents were able to simply enjoy ourselves. Thanks so much, we would happily use Brilliant Birthdays again! Thanks for the best children’s entertainment we could imagine! It was brilliant! Our Little Pony was a lovely lady ! I could see she was enjoying her job. We all had a lot of fun, Thank You! We hired balloon modeller coming alongside our little pony entertainer. very very nice party. Children and parents had amazing time ! Many Thanks! We were delighted with our entertainer, kids had a terrific time! Highly recommend Brilliant Birthdays! We had a Unicorn party last week and I can say all the best. The great organisation, impressive costume and brilliant entertainment! Great thank you! Wonderful kids entertainment for little ones , happy children – happy parents, thanks! Thanks again for the wonderful job you did at our daughter’s party. She had a fantastic time. our kids entertainer kept all the kids really engaged for the whole 2 hours! We were all really impressed with how the kids took to the entertainer. Lots of the other parents had nice things to say about how impressed they were too! It was indeed a proper brilliant party! We had Rainbow Pony hosting my daughter’s 4th birthday party. It was absolutely magical from start to finish. THANK YOU!